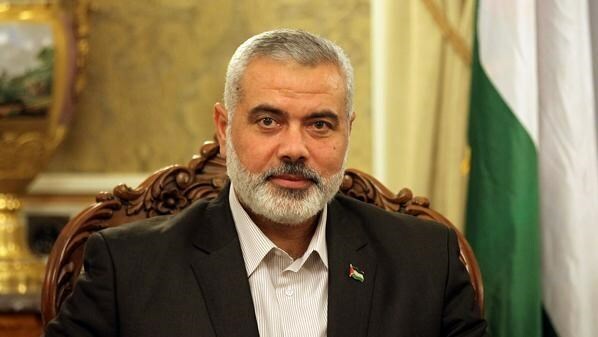 Deputy head of Hamas's political bureau Ismail Haneyya condemned the Palestinian Authority's security coordination with the Israeli occupation as "a dagger in the chest of the resistance," and said it blocks the outbreak of a third intifada (uprising) in the West Bank. "The security coordination with the Zionist occupation must be stopped, and the resistance must be protected…The settlement process failed and the Palestinian people do not need frivolous negotiations," Haneyya stated during his meeting with several Arab satellite channels on Monday evening. Commenting on the Palestinian-Arab draft resolution on Palestine, the Hamas official said that the statehood bid that had been submitted to the UN Security Council goes against the Palestinian people's rights and contained overtones of readiness to waive the right of return. He called for developing a new national strategy to protect the resistance and the national constants. As for the national reconciliation, he said that his Movement always backs the national unity, although it reached a critical juncture because of the failure of the unity government to assume its responsibilities in Gaza away from any partisan considerations. "The government has to work on ending the blockade, consider the suffering of Gaza, and prepare for the elections," he underlined. "The unity government deals with the Gaza Strip selectively, and I am not optimistic that the current visit (by the government delegation) will be able to address the real problems in the Strip. Abu Mazen has to issue an edict calling for necessarily executing all what has been agreed upon, and we will not allow Gaza to be cut off from the Palestinian project." 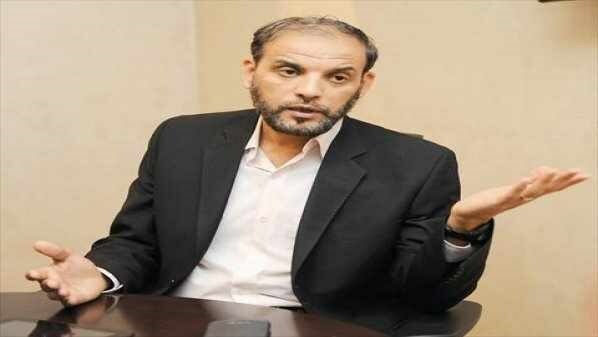 Pertaining to the issue of captive Israeli soldiers in Gaza, Haneyya said he had no information other than what had already been announced by al-Qassam Brigades of Hamas in this regard. Member of Hamas's political bureau Saleh Aruri said that the escalating resistance activities in the West Bank is a normal situation and reflects that the Palestinian people will not yield and give up their right to resist the occupation. In an interview with al-Aqsa satellite channel on Tuesday evening, Aruri stated that Israel's Knesset election that would be held ahead of schedule and the collapse of its government coalition are the direct results of its last war on the Gaza Strip and its growing concern over the outbreak of a new uprising in the West Bank. He charged that the Israeli occupation uses the blood of the Palestinian people as electoral chips. As for the Palestinian statehood bid at the UN, the Hamas official accused Palestinian Authority president Mahmoud Abbas of hijacking the strategic decision-making that concerns the fate of all Palestinians and ignoring the national consensus that rejected his draft resolution at the UN. A wave of violent clashes between the Israeli occupation forces and Palestinian unarmed youths burst out Saturday in Eastern Jerusalem and al-Khalil city, resulting in arrests and injuries. By-standers at the scene said the Israeli occupation officers targeted the civilian youths with randomly-shot barrages of tear-gas canisters while the Palestinian protesters reacted by hurling stones at the Israeli forces. The Israeli police spokesperson, Luba Samari, claimed in a statement Saturday that Dozens of Jerusalemite youths in Ras al-Amoud, in eastern Jerusalem hurled stones and firecrackers at the Israeli police officers. “No injuries or material damage have been reported,” she stated. The IOF claimed responsibility for the abduction of a 17-year-old Palestinian boy during the clashes that rocked Occupied Jerusalem city. 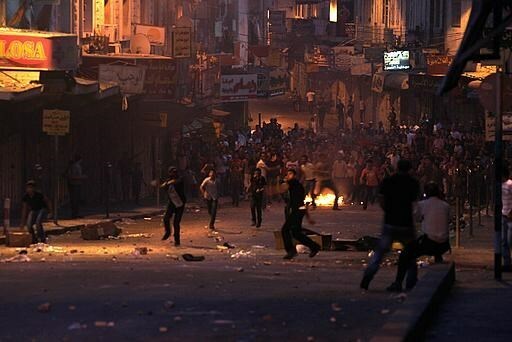 Meanwhile, sources in al-Issawiya neighborhood said the IOF violently disbanded a group of Palestinian demonstrators. Tension has been running high in Occupied Jerusalem due to the desecration break-ins and Israeli settler vandalism in and around Muslims’ holy al-Aqsa Mosque. In a related development, a number of Palestinian young men sustained injuries and breathing disorders while another youth was rounded up by the IOF in Beit Ummar, north of the West Bank city of al-Khalil, following a wave of clashes with the Israeli occupation troops. Anti-settlement activist Mohamed Awad said the Israeli soldiers attacked the Palestinian civilians with tear gas grenades and rubber bullets, moments before they kidnapped Mahmoud Abu Mariya and dragged him to an unknown destination. 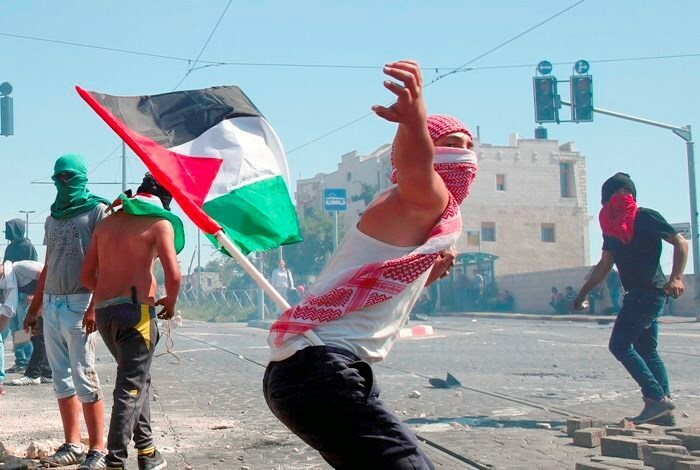 Several injuries have been detected among the Palestinian youngsters throughout the clashes. Secretary-General of the tribes of Jerusalem and Palestine, Sheikh Abdullah Alkam, warned of Israeli intents to forcibly deport Palestinian refugees from the Shua’fat refugee camp in Occupied Jerusalem after the Israeli occupation forces knocked down a commercial multi-story tower apartment. Diab called on all Palestinian factions to pool resources and take serious action against Israel’s Judaization conspiracies and state vandalism targeting the sanctity of the holy city of Jerusalem. A group of Palestinian activists at the Shua’fat refugee camp said Israel’s demolition of al-Dajani’s commercial tower, comprising 20 shops, makes part of an Israeli plan to forcibly expel 90,000 Jerusalemites sheltered at the camp. The Israeli occupation authorities have turned blind eyes and deaf ears to the refugees’ appeals to transform the building into a kindergarten or a mosque, confirming even further its intents to wipe out all traces of Palestinian existence in the area. Muhammad Abu Juheisha, a deputy for the "Change and Reform Bloc" at the Palestinian Legislative Council, said that the Palestinian “outbursts” in the West Bank and Jerusalem attract the world's attention to the Palestinian cause and al-Aqsa Mosque. 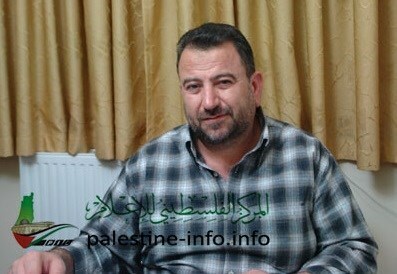 The deputy also said, in an exclusive interview with the PIC, "The cause of the Palestinian detainees requires integrated efforts so as to put an end to their suffering, especially those held by infamous administrative detention orders, without trial or charge, and the Israeli occupation’s intransigence in stalling their release. Abu Juheisha said that the entire Muslim and Arab Nation support the Palestinians' sacrifices, struggle and constant protests in defense of their holy shrines and their just cause. He clarified that the outbursts of anger organized by Palestinians, especially on Fridays, reflect their loyalty towards their country and their strong desire to get rid of the occupation. He added that those angry protests are also aimed at Judaization, settlement drive, misappropriation of their lands, and settlers’ attacks. He pointed out that the Palestinians should maintain the momentum of these outbursts in order to show the whole world what they are suffering from and to keep their issue alive in the minds and hearts of the entire Muslim and Arab Nation. He added that Palestinians need these outbursts so as to lift their morale and to deter the occupation. The deputy addressed the residents of occupied Jerusalem, who have been living under catastrophic living conditions for several years because of the occupation and the settlers, saying: "residents of occupied Jerusalem live in a trench protecting the whole Muslim and Arab Nation in general, and the Palestinian people in particular, and this is deeply and highly appreciated". Concerning the suffering of the detainees in the Israeli prisons, the deputy stressed that all the Palestinian detainees are exposed to great injustice by the occupation, and that serious measures must be taken to rescue them. 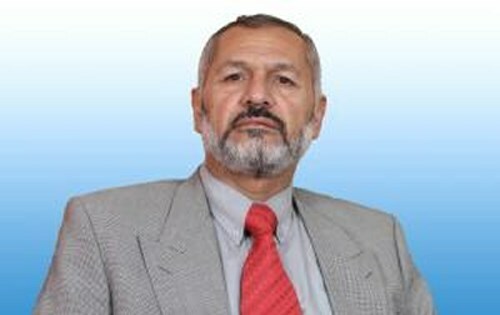 He laid emphasis to the issue of the administrative detainees who are extremely suffering in many ways; first and foremost they don't know the accusation with which they are charged, and they are victims of the so-called "secret file", which adds psychological pressure to their suffering, as they don't know when they will be released. Furthermore, their lawyers don't know their clients' accusations, hence, they can't defend them, not to mention that when the detention term is about to expire the detainees suffer tension and psychological pressure in anticipation of unjustly renewing their sentences, Abu Juheisha said. He charged the Israeli occupation with using this means to negatively affect the administrative detainees’ determination and resoluteness since all of them are influential Palestinian figures and leaders and the occupation wishes to keep them away from the political scene. The Israeli occupation forces (IOF) have recently released the deputy of al-Khalil, Muhammad Abu-Juheisha, after four months of administrative detention, as he was arrested in the last campaign following the kidnapping and killing of the three Israeli soldiers in al-Khalil in mid-June. Spokesman for Hamas Movement Hossam Badran said that the ongoing clashes in the West Bank entered a new phase where no power on Earth in any way can stop it. He stressed that the resistance path is the only way to put an end to occupation's racist practices. "You are the real decision-makers in this specific stage and you are able to foil all schemes to liquidate your just cause by your own resistance", he said addressing the Palestinians in the West Bank and occupied Jerusalem. In an unrelated development, Israeli government decided to add 300 new housing units in Beit El settlement built on lands of Ramallah and Bireh. According to Haaretz Hebrew newspaper, Israel's Prime Minister Benjamin Netanyahu has ordered the Finance Ministry to allocate $18 million in funds to move a Border Police base in order to make room for additional housing in the West Bank settlement of Beit El, as well as to finance other projects there.